This year’s Georgia Grantmakers Alliance Annual Meeting focused on the Building Blocks of Early Childhood. 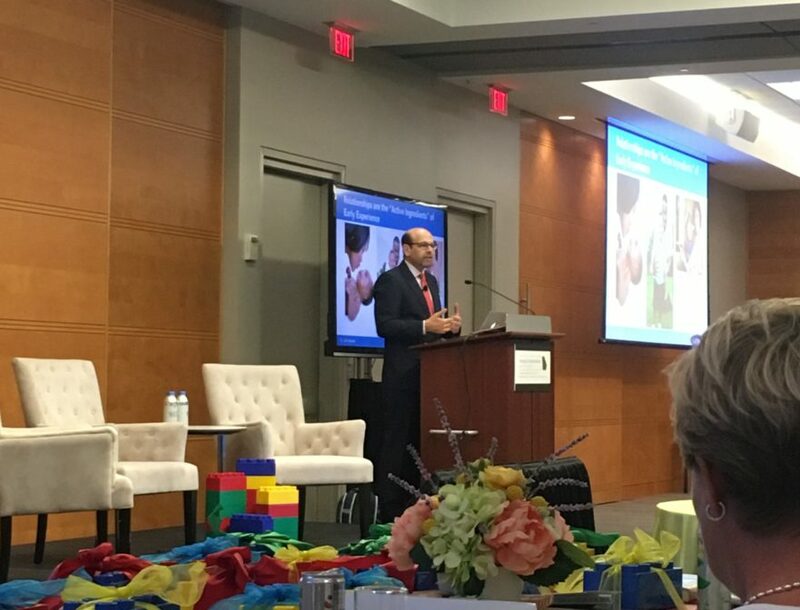 Keynote speaker Dr. Geoffrey Nagle, president & CEO of Erikson Institute, discussed how important the first 1,100 days are in a child’s life and how early experiences are the smoking gun for education and health. During the first five years of a child’s life, they develop their sensory pathways, learn to talk and create higher cognitive activity. While a child is growing, they learn how to handle stressful situations early in development. Studies have shown toxic stress from early experiences create higher risks for chronic diseases later in life. Compared to other countries, the United States is ranked second to last in the GDP of public expenditures for early childhood experience. Some Georgia schools are working to increase early childhood experiences by partnering with pediatricians. In some cases, pediatricians are the only childhood professionals children come in contact with during the first five years. These relationships are the active ingredients of early experience. As grantmakers, we need to address and invest in the needs of children’s early experiences to ensure they receive the proper support and advocate for their needs starting after birth. Building blocks of early childhood focused on the importance of research and programs that are needed to help support our educators. We are so thankful for our philanthropic partners. It is often donors who help push the needle to fund additional research or to provide additional support for programs that have been exhausted by state resources.